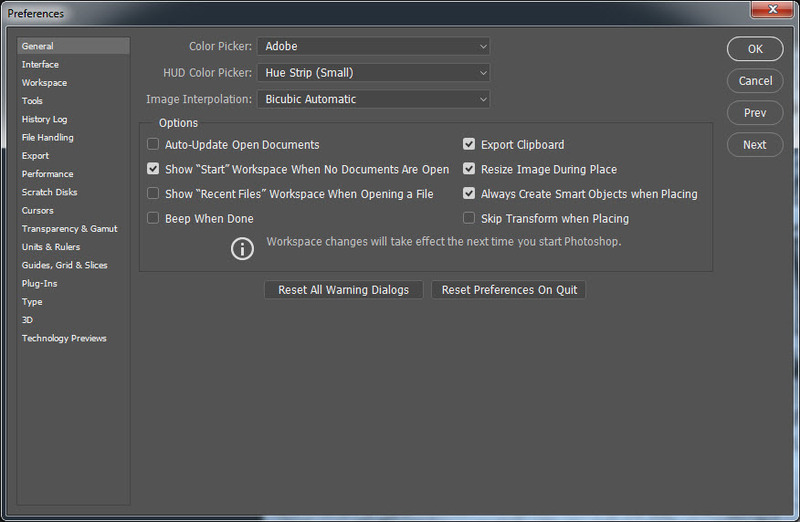 These notes provide a guide to setting 'Preferences' in Photoshop CC. They are based upon how the 'Preferences' settings for my system. The settings suit the way I work and, as such, may provide a guide for others. You'll notice that many 'Preference' dialogue boxes remain as 'default', as I have not found a need to make a change. 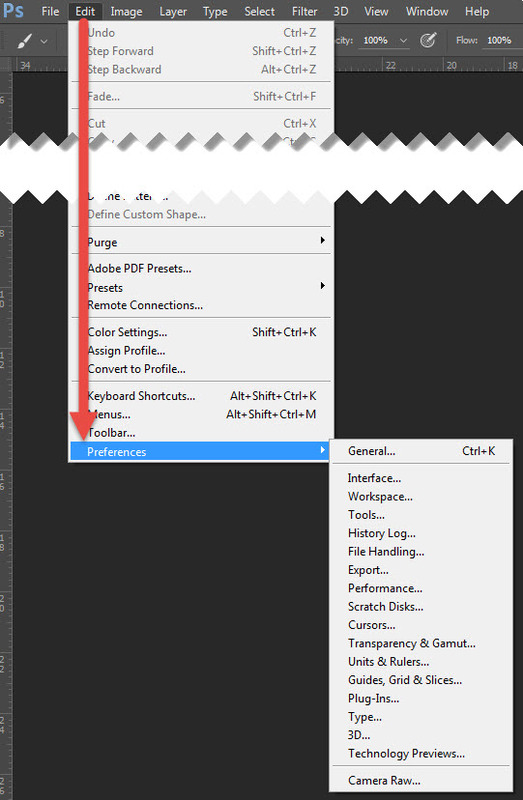 'Preference Settings' can be found by going to the top menu bar in CC and clicking Edit > Preferences. A drop-down list appears. Choose 'General' and after each 'Preference' dialogue box is set (or left as is), click 'Next' to progress to the next 'Preference' setting. Please note: I'll be skipping showing screen grabs for most of the Preferences I leave as 'Default'. To check each next step, whether 'Leave as Default' or the 'Next Preference' where I have advice, look at the base of each section. When you've completed the series of settings (or, perhaps, only making changes to one or two 'Preferences'), Click 'OK' and all the settings will be stored. The changes will take effect next time Photoshop opens. The following pages will take you through each 'Preference Setting' using a series of 'screen grabs'. Many options are available and I'll occasionally make a reference about a setting or choice. We begin with the 'General' dialogue box below. The 'General' dialogue box is almost set as 'default settings', however I prefer to 'tick' the 'Zoom Resizes Windows' option. I find this facility useful.